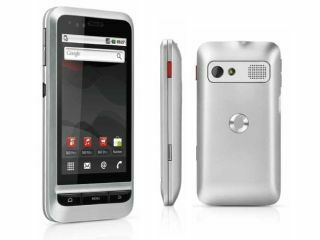 Two new Android-based handsets from Vodafone have been announced this week - the Vodafone 945 and 553. If you think that the 945 name sounds familiar, it is because it is the successor to the Vodafone 845, which also brought Android 2.1 to those on a budget. The 945 has a 3.2in, 480 x 272 capacitive touchscreen (the 845 could only muster up a resistive screen) and it also comes equipped with a 5MP camera, GPS, Wi-Fi and that all-important FM radio. You will also get access to Android Market and Vodafone Music and there's 300MB memory on board, which can be expanded by the 32GB memory card slot. The Vodafone 553 is a non-Android QWERTY device, which has a 2.8-inch rotating touchscreen. It comes with Opera Mini 5 pre-installed and has a 2MP camera, Bluetooth, FM radio, or MicroSD card slot with support for up to 8GB of additional storage space. The Vodafone 945 and Vodafone 553 have no official UK release date but will be available before Christmas. Prices are still to be confirmed but have been called "competitive" which is nice. As for colours, you will be able to get the 945 in black or silver and the 553 in lack, white, silver or pink (salmon if you are a bloke). Vodafone has contacted TechRadar to explain that the Vodafone 945 won't actually be released in the UK, as there is already enough entry level Android devices in its line-up. But it's not all bad new as it will indeed be releasing the Vodafone 553 in time for the festive season.